State-owned firm and and Malaysian company strike investment deal for shale gas formation in Neuquén. President Mauricio Macri met with the president of YPF, Miguel Ángel Gutiérrez, on Wednesday to discuss the company’s future investments in the Vaca Muerta shale gas formation, a day after the announcement of a multi-billion investment deal was sealed. Earlier this week, the president celebrated the news that Argentina's state-run energy company had agreed to jointly invest US$2.3 billion with Malaysia's Petronas in an oil-production project at an area known as La Amarga Chic, the third-largest non-conventional oil deposit in Neuquén basin. Since 2015, the companies have already spent US$550 million drilling and testing potential through a pilot project at La Amarga Chica. 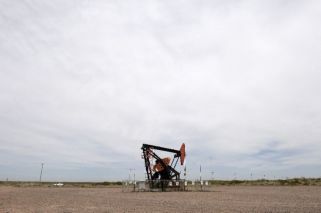 Their goal is to reach 60,000 b/d of oil equivalent by 2022v – a 15-percent boost in Argentina’s oil production – which is now close to 500,000 b/d. The investment is expected to generate over 2,000 jobs. "In 2019 alone, YPF and Petronas will double the production from the La Amarga Chica block to 20,000 b/d," said Energy Secretary Javier Iguacel. Last year, YPF said it planned to spend US$21.5 billion on new oil and gas production over the next five years, eyeing a 26-percent increase in crude oil production. Exxon, BP, Total, and Chevron are among the companies that have already pledged substantial funds for oil and gas exploration and production in Vaca Muerta, which holds reserves estimated at 22.8 billion barrels of oil equivalent. Argentina also has 2.4 billion barrels of conventional oil reserves and is working to score major discoveries offshore.